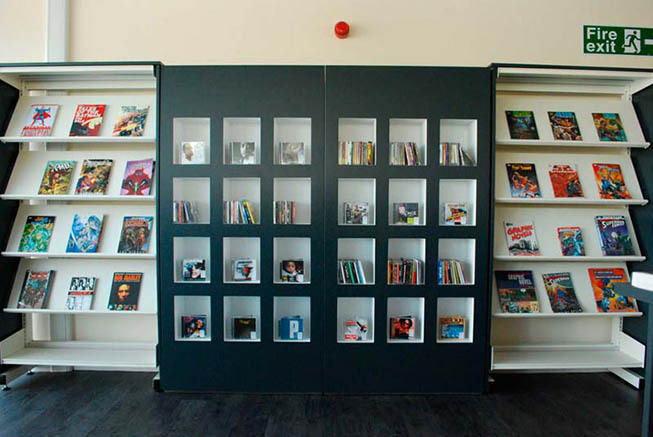 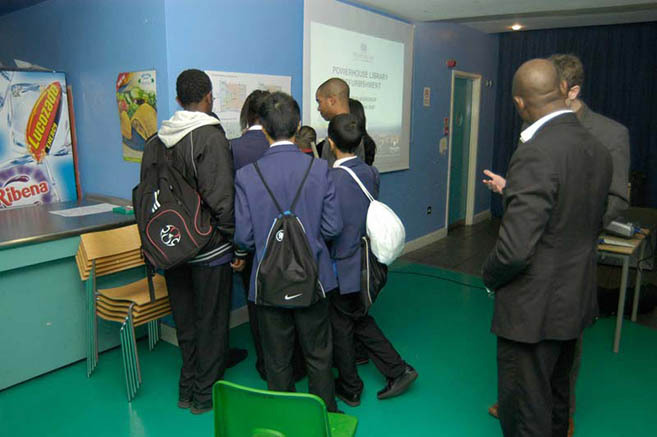 The Powerhouse is a library for young people aged 8-25. 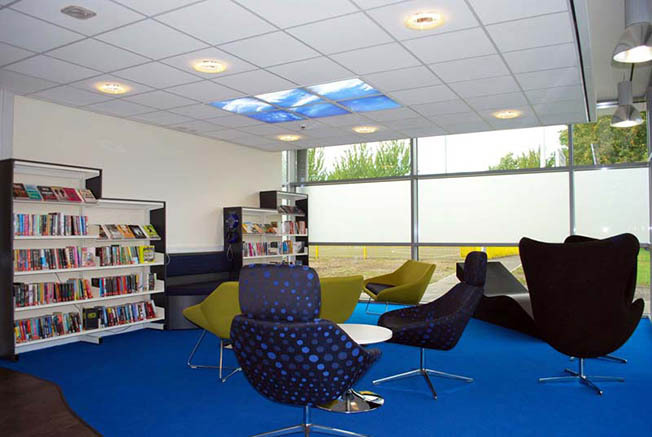 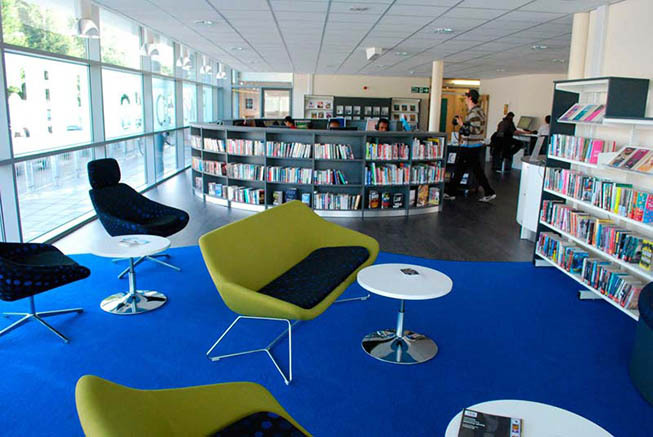 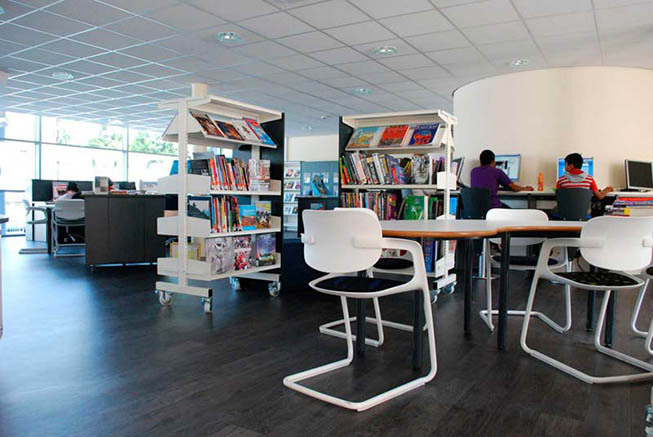 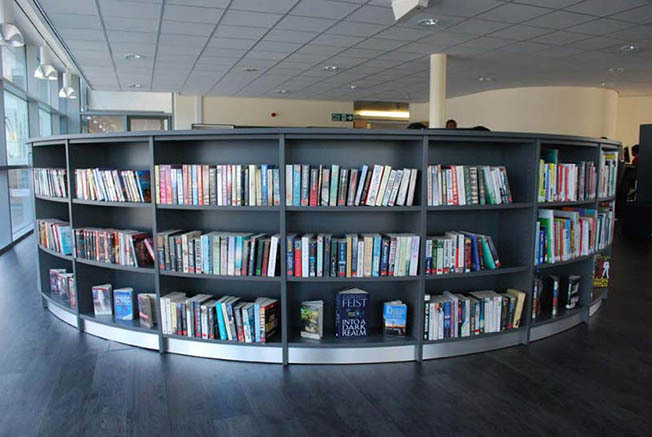 The new library is complete redesign of its predecessor, relocated to a larger ground floor 'shop window' space, with improved security and access. 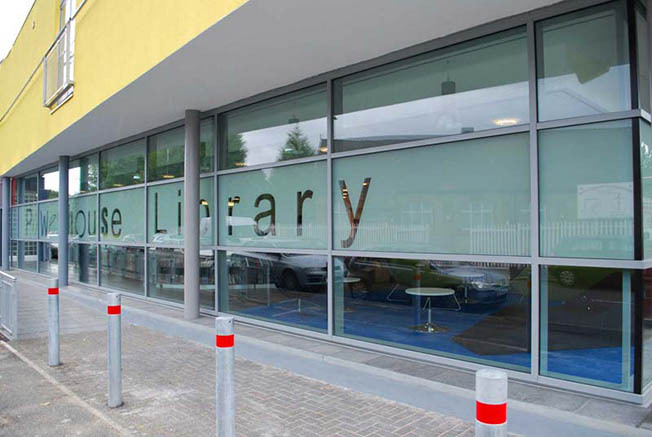 Moss Side's young people were involved in design workshops with the architects right from the start: the result has been an exciting, distinctive and attractive library, which its users really love to spend time in. 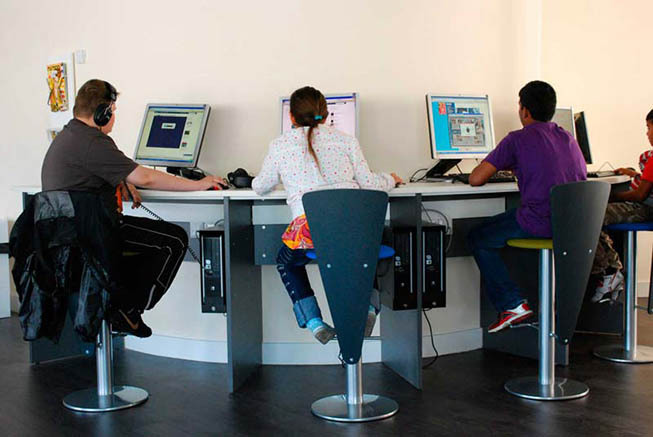 A dedicated, enclosed homework centre offers a safe after-school space and longer opening hours, which are further extended during school holidays, mean that membership numbers have soared. 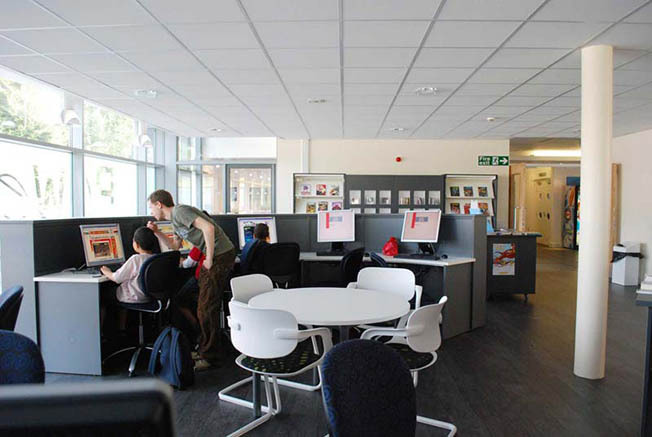 The Powerhouse complex also features a music studio, fitness suite, sports hall, youth club, Connexions service, meeting room and Emerge 16-17 CMHT.